Is there a red X over the wireless network, or Wi-Fi icon in the Windows taskbar? What about on your phone — does it report that there isn't a wireless connection? Maybe you're told that there are no wireless networks available (when you know there are). Wireless connection problems can be incredibly frustrating, especially when they happen at the worst possible time, like when you need to send an email to meet a deadline and are working on the road with no access to tech support. Don't worry, though, because Wi-Fi problems can often be fixed rather easily. We'll go over all your options below. Some other common types of Wi-Fi issues, especially for remote workers, include dropped signals and spotty connections, a valid wireless connection but no internet connection, and wireless and internet connection but no VPN access. On some devices, wireless capabilities can be turned on and off via a physical switch on the edge of the device. At the same time, most all devices let you toggle Wi-Fi on/off through the software. Check both of these areas first, because that will save you lots of troubleshooting time if the wireless connection is simply disabled. If you're on a laptop, look for a hardware switch or special function key that can turn the wireless radio on and off. It's relatively easy to flip it by accident, or maybe you did it on purpose and forgot. Either way, toggle this switch or hit that function key to see if this is the case. If you're using a USB wireless network adapter, make sure it's plugged in correctly. Try a different USB port to be sure the port isn't to blame. Another place to look is within the device's settings. You might need to do this on your phone, desktop, laptop, Xbox, you name it — anything that can turn Wi-Fi on and off will have an option to do so. For example, in Windows, within Control Panel, look for the "Power Options" settings and choose Change advanced power settings to make sure the Wireless Adapter Settings option is not set to a "power savings" mode. Anything but "Maximum Performance" might negatively affect the adapter's performance and affect the connection. Also, check for a disabled wireless adapter from the list of network connections in Control Panel. To do that, execute the control netconnections command in Run or Command Prompt, and check for any red networks listed there. Yet another place where system settings could be causing no Wi-Fi connection is if the wireless adapter has been disabled in Device Manager. You can easily enable the device again if that's the cause of the problem. If you have an iPhone, iPad, or Android device that shows no wireless connection, open the Settings app and find the Wi-Fi option. In there, make sure the Wi-Fi setting is enabled (it's green when enabled on iOS, and blue on most Androids). Windows, walls, furniture, wireless phones, metal objects, and all sorts of other obstructions can affect wireless signal strength. One study quoted by Cisco found that microwaves can degrade data throughput as much as 64 percent and video cameras and analog phones can create 100 percent decreased throughput, meaning no data connection at all. If you're able to, move closer to the wireless signal source. If you try this and find that the wireless connection works just fine, either eliminate the interferences or strategically move the router elsewhere, like to a more central location. Some other options that could alleviate distance issues with the router is purchasing a Wi-Fi repeater, installing a mesh Wi-Fi network system, or upgrading to a more powerful router. Restart and reset are two very different things, but both can come in handy if you're having networking problems or poor Wi-Fi performance. If your Wi-Fi router hasn't been powered down in a while, try restarting the router to flush out anything that could be causing hiccups. This is definitely something to try if the no network connection problem happens sporadically or after a heavy load (like Netflix streaming). If restarting the router doesn't fix the problem, try resetting the router's software to restore it all back to factory default settings. This will permanently erase all the customizations you may have made on it, like the Wi-Fi password and other settings. The SSID is the name of the Wi-Fi network. Normally, this name is stored on any device that previously connected to it, but if it's not saved any longer, for whatever reason, then your phone or other wireless device will not automatically connect to it. Check the SSID that the device is trying to connect to and make sure it's the right one for the network you need access to. For example, if the SSID for the network at your school is called "SchoolGuest", be sure to choose that SSID from the list and not a different one that you don't have access to. Some SSIDs are hidden, so if that's the case, you'll have to manually enter the SSID information yourself instead of just select it from a list of available networks. On this note, the SSID is only part of what's required to successfully connect to a network. If the connection fails when you try, and you know the SSID is right, double-check the password to ensure that it matches up with the password configured on the router. You might need to speak with the network administrator to get this. If you reset the router during Step 3, the router might not even have Wi-Fi turned on anymore, in which case you'll need to complete that before trying to connect to it. If the reset router is broadcasting Wi-Fi, it's no longer using the previous SSID you used with it, so keep that in mind if you can't find it from the list of networks. Most wireless routers are set up as DHCP servers, which allow computers and other client devices to join the network so their IP addresses don't have to be manually set up. Check your wireless network adapter's TCP/IP settings to make sure your adapter is automatically obtaining settings from the DHCP server. If it's not getting an address automatically, then it's likely using a static IP address, which can cause problems if the network isn't set up that way. You can do this in Windows by running the control netconnections command-line command via Run or Command Prompt. Right-click the wireless network adapter and enter its properties and then IPv4 or IPv6 options to check how the IP address is being obtained. Similar steps can be taken on an iPhone or iPad via the Settings app in the Wi-Fi options. Tap the (i) next to the network that's experiencing the wireless connection issue, and make sure the Configure IP option is set up appropriate, with Automatic chosen if it's supposed to use DHCP, or Manual if that's necessary. For an Android, open the Settings > Wi-Fi menu and then tap the network name. Use the Edit link there to find the advanced settings that control DHCP and static addresses. 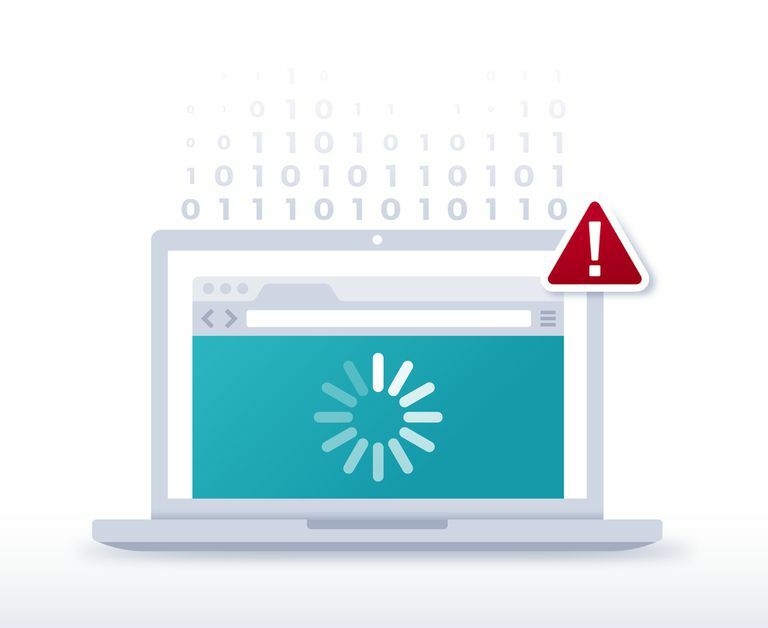 Device driver issues can also cause problems with network connections – your network driver may be outdated, a new driver can cause problems, the wireless router may have been recently upgraded, etc. Try doing a system update first. In Windows, use Windows Update to download and install any necessary fixes or updates, both for the OS and for any network adapters. Also visit the manufacturer's website for your network adapter and check if there are any updates available. One really easy way to update most network drivers is with a free driver updater tool. Windows can try to repair wireless issues for you or provide additional troubleshooting. To do this, right-click on the network connection icon in the taskbar and choose Diagnose, Repair, or Diagnose and Repair, depending on your version of Windows. If you don't see that, open Control Panel and search for Network and Sharing Center or Network Connections, or execute control netconnections from Run or Command Prompt, to find the list of network connections, one of which should be for the Wi-Fi adapter. Right-click it and pick a repair option.